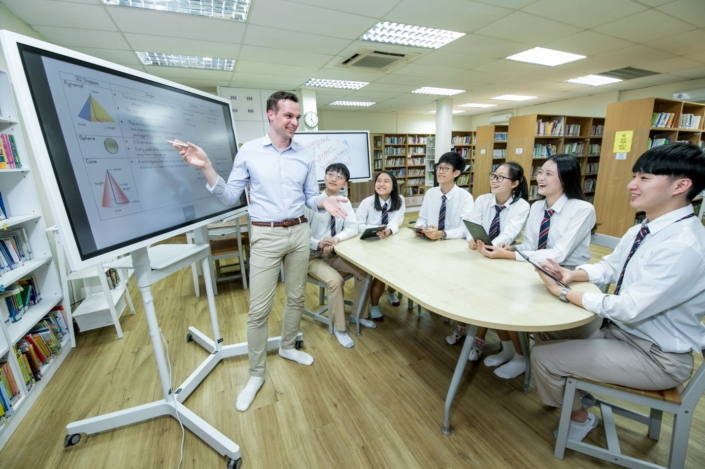 Samsung Electronics is ushering in the next era of collaborative learning for the classroom with its interactive digital display tool – Samsung Flip. 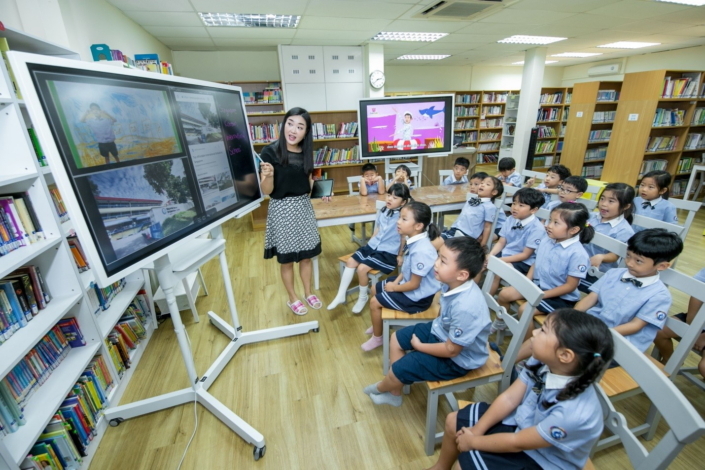 In order to provide the students of SKIS, the Singapore Korean International School, with an educational experience strengthened by collaborative digital engagement, Samsung recently introduced their groundbreaking Flip display to the school. SKIS has become the first school in the world to have a full range of digital display solutions in its classrooms. The Samsung Flip is an interactive, ultra-high definition (UHD) display that serves as an innovative upgrade to traditional analog boards. On its 55-inch screen, users can introduce existing content through a variety of device connectivity options and are able to annotate directly on the screen with either their fingers or the dual-sided Passive Pen. The Flip features up to 20 pages of writing space in a continuous, rolling stream to facilitate efficient and uninterrupted use. The customizability of the Samsung Flip is what makes it the perfect tool to enhance teaching and keep students engaged. Each Samsung Flip display can be configured to either portrait or landscape orientation, depending on unique class needs, and has a portable, wheel-based stand for easy transportation and flexibility in class presentation. The Samsung Flip does not just benefit teachers; up to four participants can create content or annotate directly onto the screen, making it the perfect tool for group projects and other student engagement activities. The Samsung Flip may be replacing the traditional whiteboard and marker for SKIS students, but that does not mean it is not just as easy to use – with the Eraser function, unnecessary content can be simply wiped away by hand, and is automatically and continuously saved in case of erroneous deletion. Thanks to the Samsung Flip, gone are the days of leaving key lessons behind on classroom boards. The digital display tool contains 20 pages of writing space with embedded quick search, auto-save and quick scroll functionalities. Once a class is over, a teacher is able to share the notes made with the students by e-mail or cloud-based share drive. With such ease of use, the Samsung Flip is helping streamline the modern classroom into being the most productive learning space it can be.